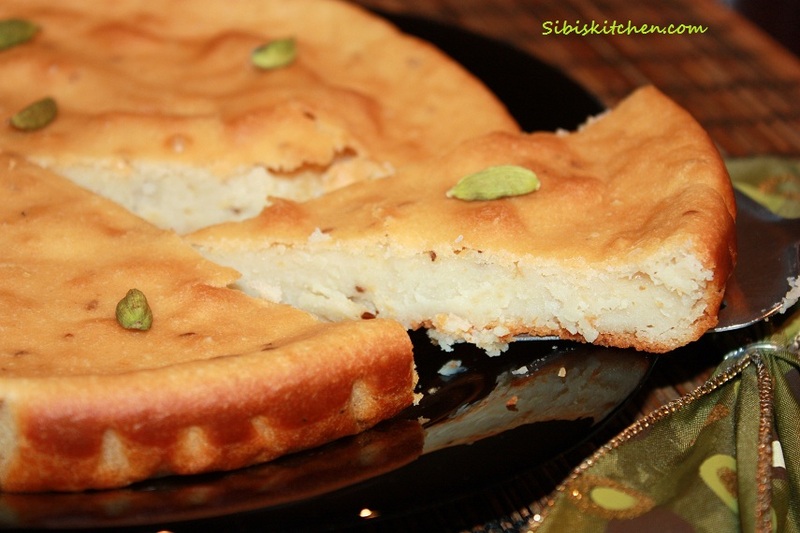 An eggless cake flavoured with shah jeera and cardamom which will definitely become one of your favorites. This is a nice basic recipe to have on hand for folks who need an eggless cake for various reasons whether health, allergic, religious etc. 1. Preheat the oven to 350F/180C for 15 minutes.Line a cake pan with parchment paper. 2. In a large mixing bowl, sift together the flour, baking powder, soda and salt. Whisk in the sugar or splenda. 3. To this flour mixture add the butter,cardamom, shah jeera and all the wet ingredients. 4. Start blending the ingredients with an electric mixer at low speed and gradually increase the speed. Scrape down the sides of the bowl and continue beating the mixture for about 5-6 minutes. Now you can see that the mixture would have doubled because of the creaming of butter and sugar or splenda. 5. Transfer the cake batter to the prepared pan and spread the batter evenly. 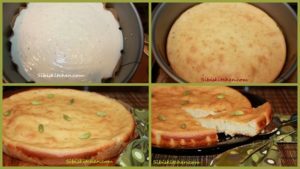 Bake for about 30 to 40 minutes or until a toothpick inserted in the middle of the cake comes out clean. 6. Remove the cake pan from the oven and place it on a wire rack to cool to room temperature. Tips : If you don’t like shah jeera and cardamom, try using grated carrots and cinnamom or dry nuts and dry fruits instead.